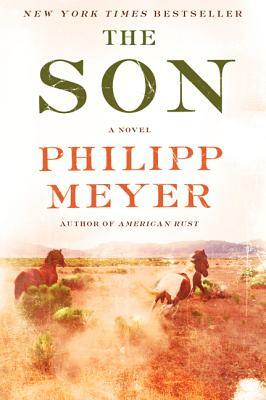 Part epic of Texas, part classic coming-of-age story, part unflinching portrait of the bloody price of power, The Son is an utterly transporting novel that maps the legacy of violence in the American West through the lives of the McCulloughs, an ambitious family as resilient and dangerous as the land they claim. Spring, 1849. Eli McCullough is thirteen years old when a marauding band of Comanches takes him captive. Brave and clever, Eli quickly adapts to life among the Comanches, learning their ways and waging war against their enemies, including white men--which complicates his sense of loyalty and understanding of who he is. But when disease, starvation, and overwhelming numbers of armed Americans decimate the tribe, Eli finds himself alone. Neither white nor Indian, civilized nor fully wild, he must carve a place for himself in a world in which he does not fully belong--a journey of adventure, tragedy, hardship, grit, and luck that reverberates in the lives of his progeny.